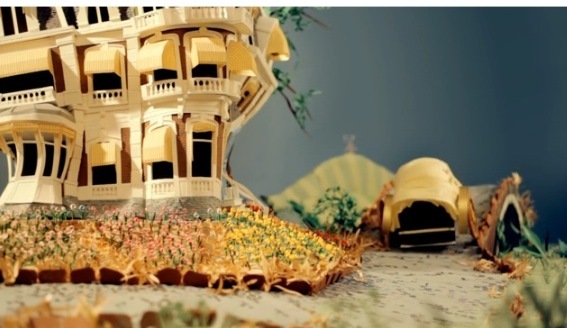 is a charming short story animation inspired by moving in Amsterdam, illustrated through paper. It is a subtly sublime piece of entertainment made ever more enjoyable, by the quaint nature of Mandy Smith's delicate paper sculpture constructions and set designs. The cool music and sound design from Lawrence Horne, Piers Burbrook de Vere and Jeremy Yang, works a jovial treat. Mandy Smith's, media art is subtle and complex yet seductively simple and cute, visit her website, to view her clever paper craft skills.